Since the creation of the Force, the wives of members have played a significant role on Detachments and at isolated posts. Their unwavering support for their husband and other members has been legendary. In 2010, the initiative to recognize the contributions of Member’s wife was undertaken by Calgarian Ivy-Anne Mitchell when she wrote to Commissioner William Elliot asking that the RCMP recognize the invaluable contributions made by the wives of members. Upon receiving the request, the Commissioner directed that the RCMP Honours and Recognition Directorate work with the RCMP Veterans’ Association to develop a mechanism to recognize the wife’s contributions. Based on joint initiative, a Second Man commemorative brooch was designed. At present, these brooches are now being presented to women who have contributed to supporting their husbands and their communities. The following are the details for the brooch presentations in the Lower Mainland of British Columbia. 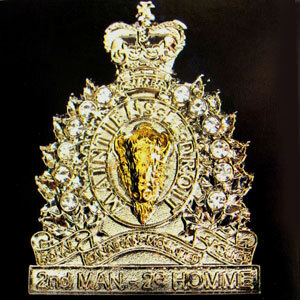 DETAILS: As a result of the contributions made to the RCMP by wives, or the “Second Man” as they have been commonly known throughout the years, twenty six (26) Ladies from this area will be the recipients of “Second Man” commemorative brooches. Deputy Commissioner Craig Callens, Commanding Officer “E” Division will make these presentations at an Awards Ceremony as noted above. All RCMP Veterans and their spouses are hereby invited to attend. ORDER OF DRESS: As this will be a “Review Order” event for serving Officers and Members in attendance, Veterans are requested to wear their Red or Blue Blazer or business suit. Attendees are requested to arrive at “E” Division HQ no later than 12:30 PM to facilitate check-in at the front desk. Security passes will be issued. The Ceremony which will commence at 1:00 PM, may last approximately 1 hour and will be followed by a reception. Light refreshments will be provided. The area marked “Temporary Parking” will be available for FREE PARKING. Signs will be erected to help guide drivers. It is suggested that passengers who may have difficulty walking be dropped off near the front entrance. 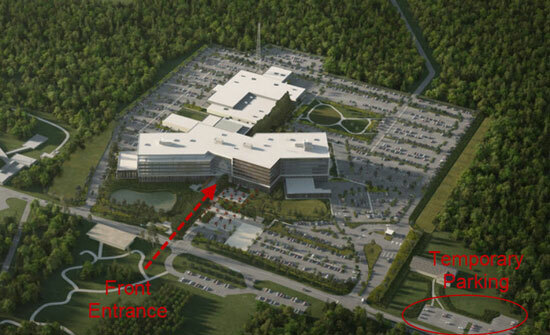 There is a “Visitor”parking lot situated between the front entrance and the temporary parking lot that may be utilized if space is available. However, please ensure that the required parking ticket is purchased from the clearly marked machines. The parking rate is $2.00 per hour. It is suggested that 3 hours may be required. Cars will be towed if a paid ticket is not displayed. To facilitate the check-in process, please advise the names of Veterans and spouses who will be attending directly to Larry Proke – email larryproke@shaw.ca or telephone (604) 501-4824 by October 1, 2013.